Children's Poster: First shown in October 1974, Roobarb and Custard have been a much loved addition to children's television for many years. 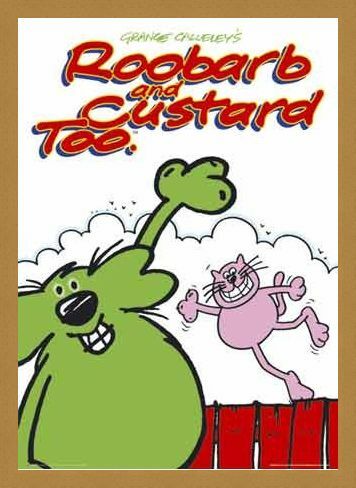 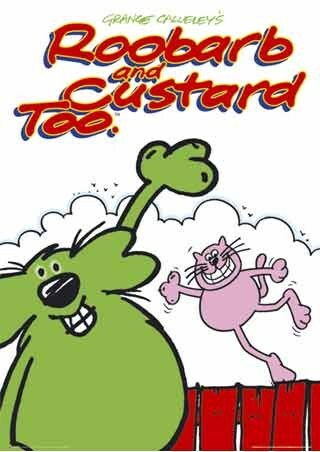 Roobarb is the green dog and Custard is the pink cat from next door and the pair share a loving rivalry which crops up in every episode. 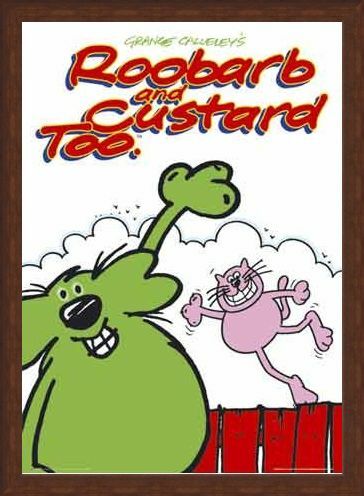 Roobarb was always involved in some kind of misadventure and although he was always enthusiastic about it, Custard usually set out to sabotage Roobarb's fun. This brilliant poster is a must have whether you were a fan of the show in the 1970's or have enjoyed the more recent 2005 version. 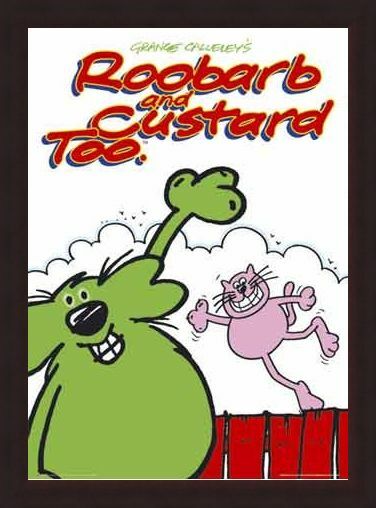 Featuring Roobarb and Custard as they set out on another exciting adventure. High quality, framed Grange Calleley's Roobarb & Custard, Roobarb & Custard poster with a bespoke frame by our custom framing service.